60% Off all Photo Prints! Print cheap photos for a variety of occasions. Our 4×6 photos are printed on silver halide paper for the best results! If you’re looking for the cheapest photo prints online, then you’ve come to the right place! No need to purchase a discount card or prepay for your 4×6 pictures for a great price, just order online and have them delivered right to your door. An amazing deal and quality on real photographic paper! Winkflash is the perfect choice for high quality, cheap 4×6 prints with the richest colors and sharpest contrasts. No matter which custom options you choose, Winkflash allows you to order cheap photo prints online with ease! 4×6 Prints are available in Glossy or Matte Finish. Winkflash online photo processing lets you easily order up a stack of professionally printed 4 x 6 digital prints. Winkflash makes digital photo printing simple, especially when you want order classic 4×6 prints or even a picture enlargement of your most treasured memory. 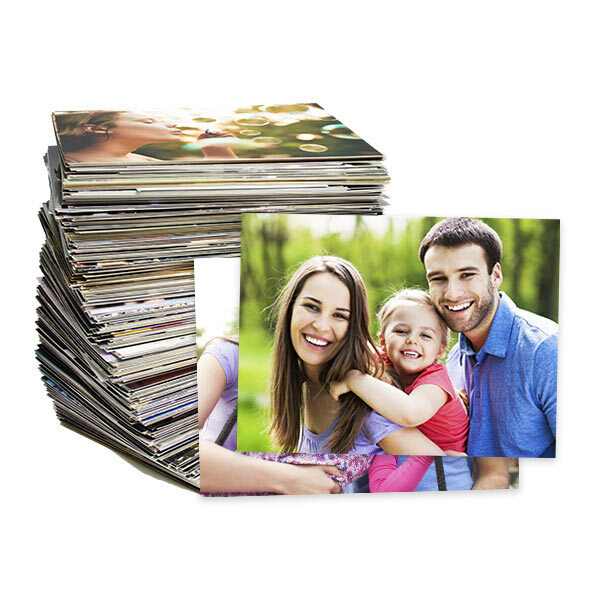 Safeguard all your cherished moments with high quality photo prints and our low 4×6 print prices for an affordable, convenient way to preserve your most cherished photos. Our everyday low price is just 8 cents per photo. We use top-grade inks and quality photographic paper to preserve your memories for years to come. Order your 4 x 6 photo prints today and have them sent directly to your mailbox. You’ll be in good company; the 4 x 6 photo reprint is our most common size. Just think about the countless number of ways there are to display and share your images. Our 4×6 prints are perfect for all of your photo printing needs including family albums, framing, scrapbooking or simply sharing with family and friends. Even better, Winkflash is the cheapest place to print photos online so you don’t have to sacrifice quality for affordability. Our silver halide prints are perfect for everyone; DIY mothers who craft and make family memory books, grandmothers who collect mini picture books and of course teens love collecting and sharing images. In addition to classic 4×6 photo prints, we offer cheap 5×7 prints, 8×10 photo enlargements, and 16×20 poster sizes photos which are sure to elevate your favorite photos to new heights. We have the widest range of photo print sizes in matte, glossy and even popular metallic finishes. Order photo prints in a range of sizes today, for your next project, and customize them to your specifications with our selection of options! Prints delivered to your mailbox! But don’t limit yourself to basic reprints like the 4 x 6 and 5 x 7 photo print size. Maybe it’s time to order something that’s more of a poster size? Or perhaps you’ve been intending to try a photo canvas? How about prepping a large photo print to frame and place over the couch, fireplace or a hard-to-fit area of your home? Print your small and big pictures online photo printing needs to Winkflash. Winkflash is mobile ready! Easily access Winkflash.com from your mobile web browser and create prints, and other products right from your phone. Mobile photo printing makes it easier to order prints without the need of a computer. Just log in to your Winkflash account and place an order. You can even upload images from your mobile device. Looking for a faster way to receive your 4×6 photos? Winkflash offers a FREE Same Day Photos app for iOS and Android devices. Create 4×6 prints and more from photos stored on your phone and pick them up in as little as 1 hour at Walmart, CVS, Walgreens and Duane Reade. Create your 4 x 6 photo prints now! Want to save money whenever you print a stack of photo reprints, some framed photo canvas or even some of the hot new photo gift items? We’ve got you covered! In addition to cheap photo prints online, you can sign-up for the Winkflash newsletter and receive all sorts of discount photo coupons and photo print offers. You’ll want to make lots of prints to share with family and friends. Glad that you have everything up and running!! Hopefully keep offering the 1/2 off card sales, like before. I really appreciate your effort after all the drama. Winkflash is my absolute favorite site. I was so bummed when it closed but so excited when it reopened :-). I would and should have about 10 more books done at this point but I am sooooo far behind. I hope I am able to get back on track soon. Two of my 3 kids don’t even have a book yet like my first that has 4. Ruff life being the 2nd and 3rd kids. I also always get the books when they are on sale. I can’t afford how many I will be getting at full price. I thought the company was gone defunct, well I will be back since its not. Wink flash has always been good quality at a price that cannot be beat. I use for home and work. Thanks for a great valued product. I love to do all my photos in books on Winkflash, but I can only afford them when you run them on sale. Lol! I take way too many pictures and get too far behind on my books so I always need to order too many at the same time. I back up all my photos on a hard drive that I store in a fireproof safe at our home, but it is also nice to have storage at Winkflash. When I get time, I have several books that need to be made and ordered. I always keep an eagle’s eye out for those special price emails you send! I was so happy that Winkflash was up and running again…..just in time for my holiday photo cards. Your products have always been of the highest quality, and I was always impressed with how quickly my orders were received. Thanks for such great service over the years. Good to have you back! It is a joy to be back with Winkflash. It has been great business with you for the 4-5 years you’ve been filling my orders – and quite a jolt when I “lost” you in August. Glad you got it together! Keep up the good work – and your great service. I had always been very pleased with Winkflash, and was devastated when the problem occurred, so I am very pleased to see the site up and running. We have recently had a death in our family and I am hoping all the photos will be available soon, so we can continue a great relationship. Thank you for your years of service!